Launched in 2004, the Scotclans website is Scotland’s largest site for information on Scottish clans and associated families. Now the makers are aiming to extend their reach to Scots around the world with their recently launched Scottish Clans iPhone app. These days, Scots and their descendants can be found in all the corners of the world. For anyone interested in tracking their ancient Scottish roots, the app offers two easy ways to find your clan. Easiest is the Find Your Clan option, bringing up a search box which displays potential results as you type. Alternatively there is the Browse Clans feature, displaying a list of the 350 clans detailed in the app, with the crest displayed alongside the clan name. Tapping on the clan name of your choice displays the clan details page, with information such as the clan’s motto, original lands they occupied, and the origin of the clan name. Further tabs along the bottom of this page bring up more information, with an image of the clan tartan and an in depth clan history of particular interest. As well as the main clans, the app also contains thousands of associated family names, allowing a further lookup if the name you’re looking for isn’t in the main clan list. Again these names can be accessed via the search or browse options, and selecting the desired name in the results will bring up the clan with which the family is associated. 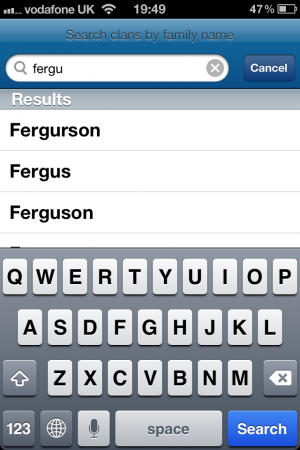 The app’s audience isn’t limited to those who have a Scots family name to investigate. Anyone with an interest in Scottish history will find the Clan Map of interest. Using the familiar Google maps interface, this option displays a map of Scotland covered in pins. Selecting one brings up the place name and its associated clan, with a button to access the clan page. Despite my surname not being related to any clans, I found it fascinating to see the clans who used to occupy the areas around where I live. The Scotclans creators have added one more feature, allowing users to register if they belong to a clan or its associated family. The aim of this is to build up a picture of how far the Scottish clans’ influence has reached. 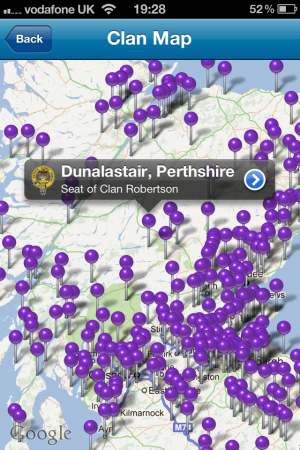 Scottish Clans is a very useful app for anyone with Scottish roots or an interest in Scottish history. 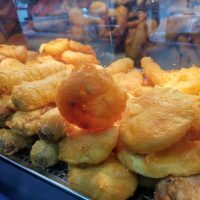 The layout and user interface are superbly designed, simple to use and uncluttered. The project to build a worldwide map of Scottish clans’ modern day whereabouts is a very ambitious one, and as the map takes shape it would make a natural addition to the existing Clan Map. 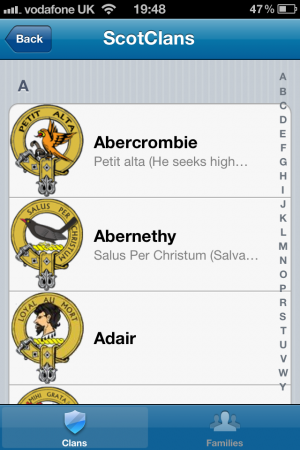 The Scottish Clans app is available now from the App Store, priced 69p. Tizen OS. Do we need another OS?